The All for Transportation (AFT) 30-year $16 billion transit tax referendum has created mass confusion, with the public questioning the viability of the program, the veracity of its advocates, and the motives of the corporate players and media entities that vociferously supported the plan. The video and captioning of county commission meeting is found here. In the video, White’s comments begin at about 22:34 or about four minutes from the end. A copy of White’s comments from the closed caption transcript can be found here. White cited Section 11.06 of AFT’s charter amendment. The AFT charter amendment can be found here. County commissioners Kimberly Overman and Pat Kemp both supported the AFT tax hike and were concerned about the lawsuit delaying transit spending by HART. Kemp even wanted the county to hand HART half of the county’s Community Investment Tax (CIT) reserves, $10 million, to buy the eight costly electric buses – for the two percent who use transit in Hillsborough County. 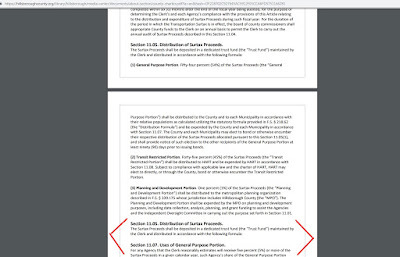 Smith sent his memo to HART on January 24, 2019, immediately after Commissioner White disclosed the actual language in Section 11.06 of AFT’s charter amendment. This confirms some of the powers AFT specifically gave to its “Independent Oversight Committee” (IOC) who are unelected bureaucrats accountable to no one. 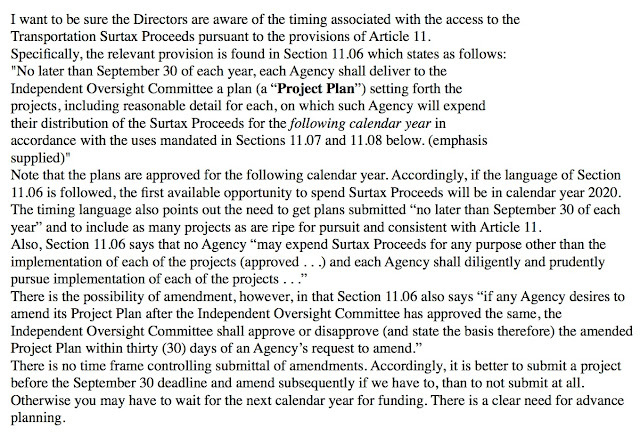 The IOC can approve or disapprove plans; they can delay any changes to a plan that an agency requests. Seward said he that neither he nor any members of the HART Board were aware of Section 11.06 and the timing considerations. This was confirmed by a HART Board member. All for Transportation, Brian Willis, Christina Barker, HART, Independent Oversight Committee, Jeff Seward, Jeff Vinik, Kimberly Overman, Pat Kemp, Stacy White.